Fashion in the 1920s conjures images of flappers wearing cloches and beaded dresses. Following the ‘20s were the lace and smooth bias cut dresses of the 1930s. Barkerville Historic Town and Park works hard to preserve and present clothing from this time period and others. 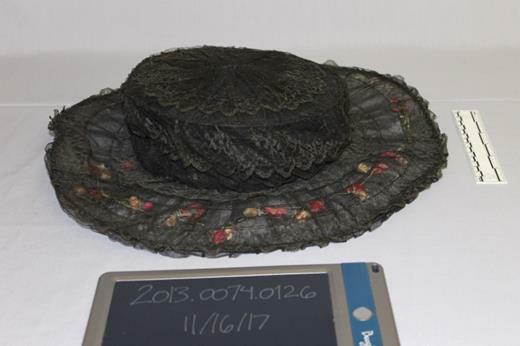 The Barkerville Heritage Trust has a large collection of 1920s and ‘30s clothing from Royal Roads University in Victoria that while not from Barkerville fits perfectly with the later period of the town’s history. 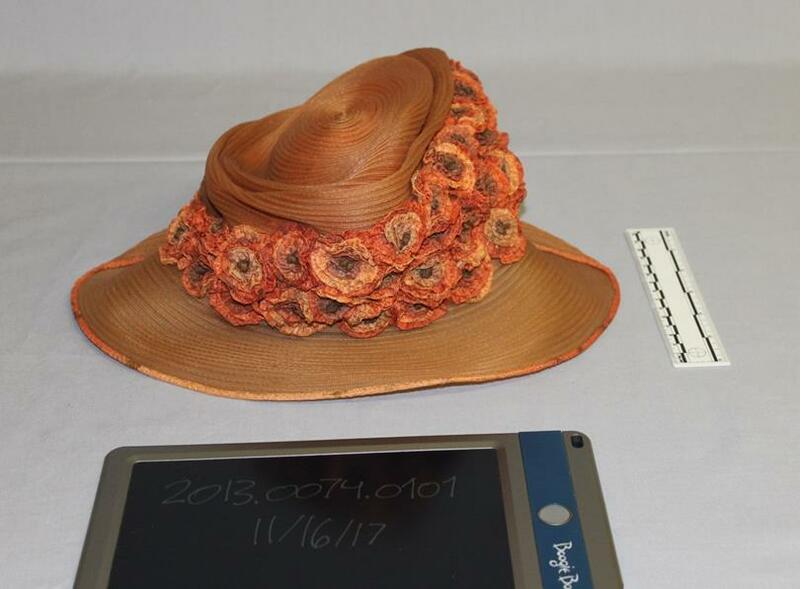 The collection consists of 2100 items of clothing including evening gowns, day dresses, men’s wear, children’s clothes, shoes, hats, jewellery, and purses. 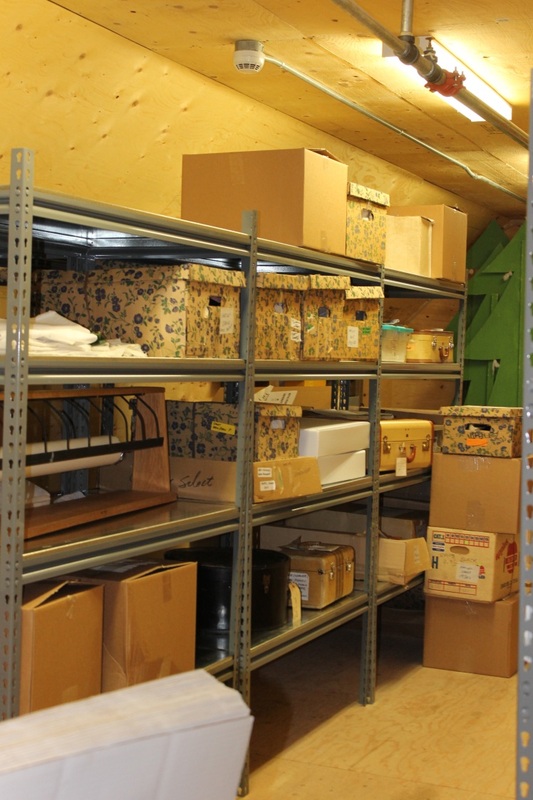 There are many steps to ensuring that each item is properly documented and cared for. My name is Vasanthi and I’m Barkerville’s curatorial intern for the winter. I’m responsible for processing the new collection. I studied Public History at the University of Western Ontario where I became particularly interested in collections management. Coupled with my interest in historical clothing, this position is a wonderful opportunity. I moved from Ottawa to Wells in October to work with the collection, and am thoroughly enjoying it so far. My job is to catalogue, tag, package, photograph, and store the collection. Cataloguing and tagging documents each artefact and allows for easy tracking. Cataloguing requires various pieces of information including an accession number, a description of the item and its condition, dimensions, what it’s made of, and key search words. 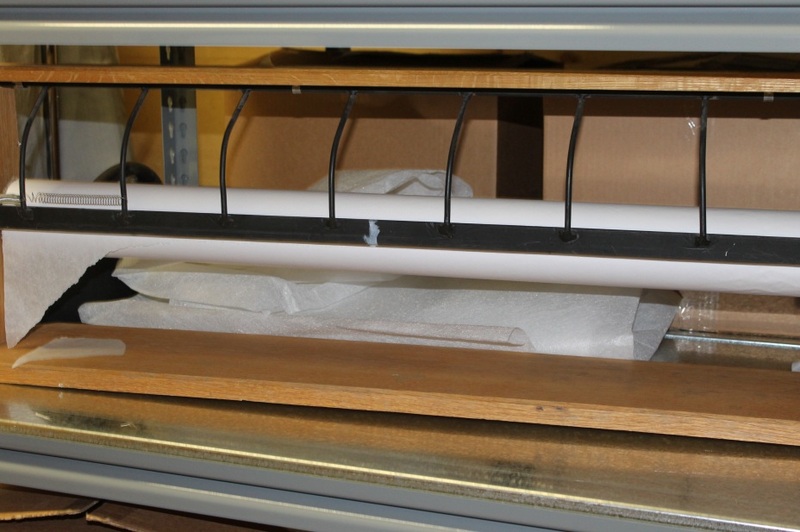 Once that is finished, a tag with the accession number is attached to the artefact so that it is connected to the catalogue entry and won’t be lost. Each artefact is then packed in acid free tissue which is the safest method of preserving them for the future. The tissue provides a buffer against harmful agents in the environment, as well as protects the item from itself as it provides a lining against anything rough on the fabric, such as beads, and puffs up any folds made during packaging. Each artefact is then photographed which has the double benefit of documenting the item and having it available for online use. To take high quality photos, I set up a photo station with neutral backdrop fabric, a small ruler for scale, and a slate for meta data. Smaller items are fairly simple because they fit on a table. Larger items present more of a challenge. Finally, to store all the boxes, I helped build shelves in the attic of one of the schoolhouse and then we moved all the boxes from their temporary storage location to their permanent location. Eventually, all the boxes will have their own spots. 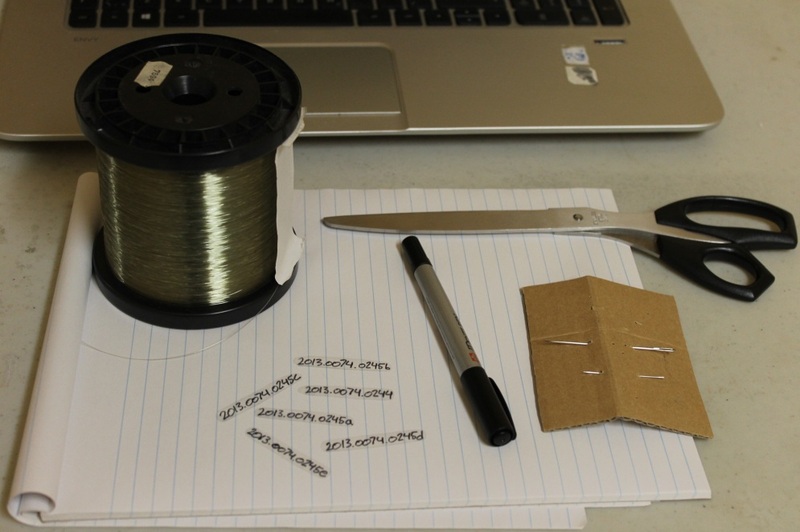 Generally, I deal with one box at a time to catalogue, tag, and package each artefact. Once I’m finished a section of clothing, I switch to photographing items. I have now processed all of the hats and have moved on to the dresses. I have found some beautiful hats and am learning a lot of new vocabulary related to millinery and dressmaking. 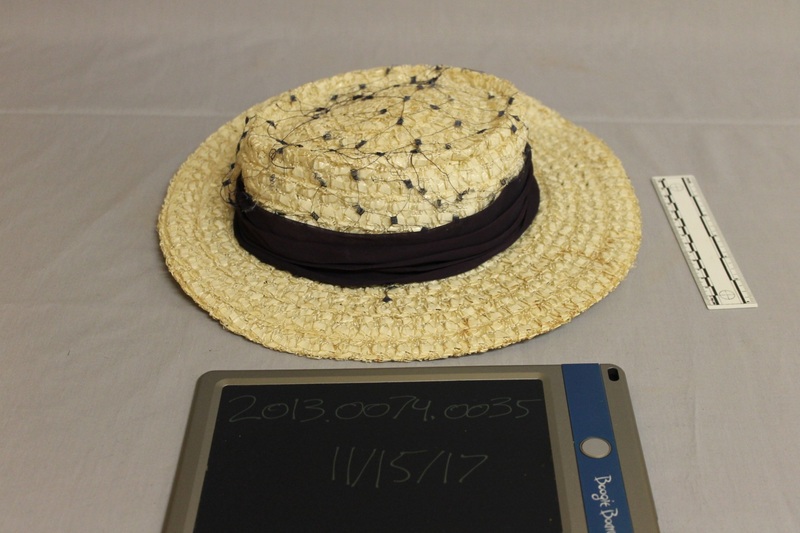 For example, large picture hats and capelines were popular right before and after the more famous cloches. 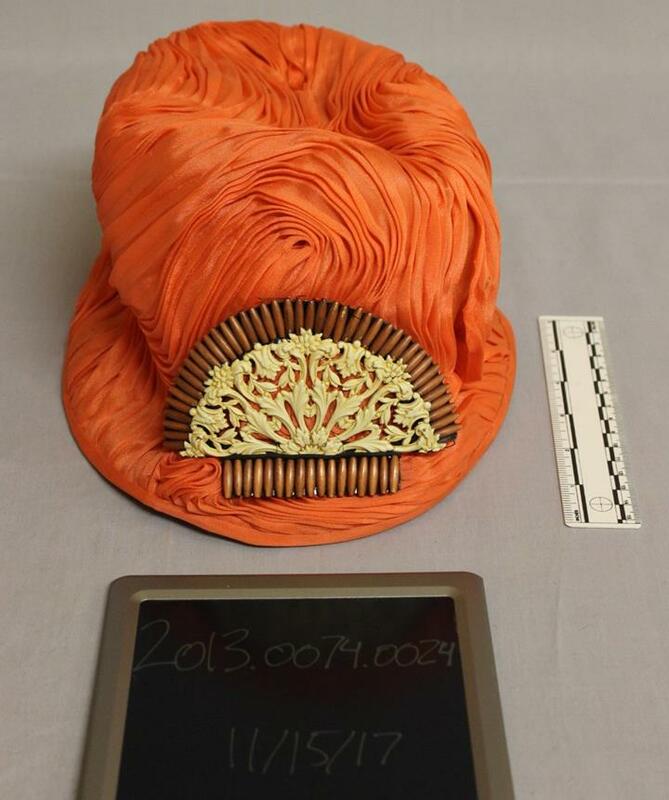 I’m also learning how to detect different fabrics such as silk and satin in dresses or horsehair and net in hats. I’m looking forward to exploring the rest of the collection. Since starting the dresses, I’ve found some beautiful beaded dresses that just have to be seen. More pictures to come! What a wonderful treasure drove. My father was born in Barkerville in 1920. He was first baby born in the new hospital that was built after Barkerville’s first hospital was burned down. It always is a pleasure to see artifacts identified and catolgued. Thanks for the share.